Many of us are surprised to learn that for the first 1000 years of Christian history there was just one Church. It was in the eleventh century that a disastrous split occurred, resulting in the Western Church, under the pope, separating itself from the Orthodox Church. The papacy sought to establish itself over all of Christendom and finally succeeded in the West. But the rest of the Church rejected this innovation, knowing no so-called «universal head» apart from Jesus Christ Himself. For example, Rome added to the ancient Creed of the Church, while numerous Protestant Churches rarely study or recite it. Rome has layers of ecclesiastical authority; much of Protestantism is anti-hierarchical or even «independent» in polity. Rome introduced indulgences and purgatory; in reaction, Protestantism shies away from good works and discipline. 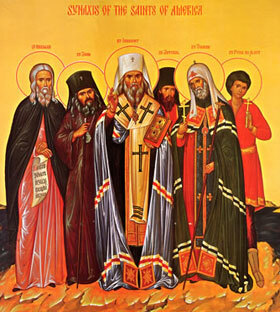 In these and other matters, the Orthodox Church has steadfastly maintained the Apostolic faith. She has avoided the excesses of papal rule and of congregational independence. She has maintained the faith «once for all delivered to the saints.» She understands the clergy as servants of Christ and His people and not as a special privileged class. She preserved the Apostles’ doctrine of the return of Christ at the end of the age, of the last judgement and eternal life, and continues to encourage her people to grow in Christ through union with Him. In a word, Orthodox Christianity simply does not change! When the Orthodox «latecomers» finally arrived in North America, they were often ignored as a «foreign» minority. The religious and cultural climate of the New World was already deeply entrenched. Thus, rather than mingle with the culture religiously, Orthodox Christians tended to maintain their Old World ethnic identity, even to the point of retaining their native languages in their worship.